Feeling confused on how to build and implement your digital marketing strategy? 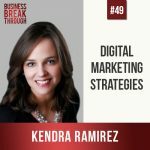 Kendra Ramirez is a seasoned expert in building digital marketing strategies and has been working in digital for over 15 years. 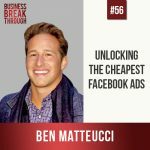 In this episode she explains, in full detail, the ins and outs of digital marketing strategy, starting with an assessment of your business all the way through to creating your ad and testing it with analytics. 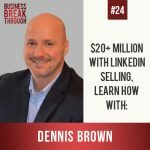 In this episode Dennis Brown tells us how he built and sold a 3PL (Third Party Logistics) company that was turning over $80 million in sales by 2016 using LinkedIn selling. We then move on to discuss the struggle of all successful coaches and consultants of what you do when the business starts to grow beyond you. Do you clone yourself? Do you cut back on clients? Are there other solutions? Actually there are! Listen in to find out.